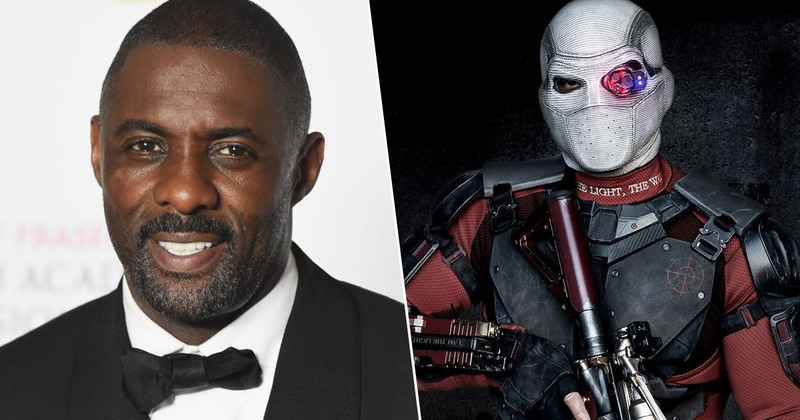 Idris Elba is set to star in the Suicide Squad reboot as a new character, despite previous reports saying he is taking over from Will Smith as Deadshot. The original Suicide Squad film was a complete car crash, so it is no wonder Warner Bros. Pictures are rebooting it in upcoming project The Suicide Squad. According to a Variety report last month, Elba was in talks to replace Smith as the character Deadshot, with the latter having to drop out due to scheduling conflicts. However, yesterday (April 5) Variety updated their report now saying Elba will play a completely new character, which makes sense to be honest because the movie is a reboot. Although studio Warner Bros. Pictures has made no comment on the decision, sources told Variety ‘all parties’ have decided The Suicide Squad will not feature Deadshot. It is unknown what character Elba would now be playing, but after taking the last few weeks to discuss, everyone involved felt this was the right move. The team also did not want to feel as if it was disrespecting Smith, who helped bring this character to life for the first time, by replacing him with Elba. While many believe chances are still slim for a future return, the decision keeps the door open for Smith to possibly come back in future films, since his original reason for leaving had to do with scheduling and not creative differences. So although Smith won’t appear in the upcoming film, there is always a chance he could return as Deadshot later on in the franchise. James Gunn, best known for being the man behind Guardians of the Galaxy, will direct the project, also re-writing the screenplay. Although at first it was thought The Suicide Squad would be a sequel, DC Extended Universe producer Peter Safran revealed it will instead be a reboot in an interview with JoBlo. Well since the first Suicide Squad film was utter crap, it won’t take much to even be a slight improvement! The release date for The Suicide Squad is currently set for August 6, 2021.